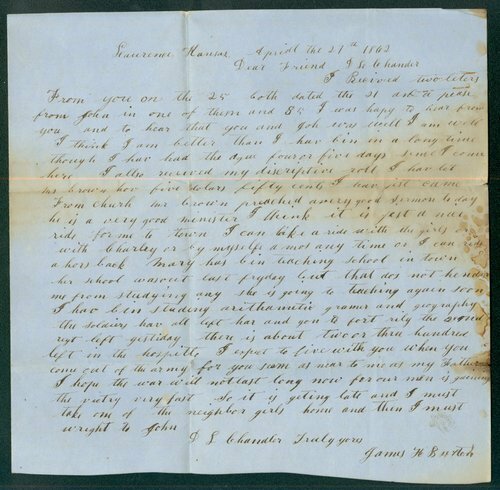 A letter written by James H. Buxton from Lawrence, Kansas, addressed to Daniel L. Chandler, an army hospital steward who had cared for Buxton. James describes life in Lawrence with members of the John Stillman Brown family. He also mentions the removal of troops from Lawrence to Fort Riley and expresses his wish to live with Chandler after the end of the war.